20 of the 22 chairs are empty. Senate Appropriations Subcommittee on Labor, Health, and Human Services? Thank you Seth Rogen for your efforts to educate young people; and, to bring into the light the current sad state of affairs when it comes to Alzheimer's disease and Alzheimer's disease research in the United States (watch Seth Rogen's testimony below, more than 800,000 people have watched the video already). But, as I sit here preparing this article I keep thinking to myself I wish you had said something like the following. I wonder why I am testifying to so many empty seats? 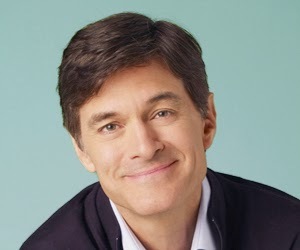 Perhaps they would take this issue more seriously if they heard these words from Dr. Oz. Or, maybe if they considered that more than 54 percent of Americans have been touched by Alzheimer's (Harris Interactive way back in 2010, the current number is certainly much higher). If the Alzheimer's community ever gets organized like the Breast Cancer community, or LGBT community there will be a lot of votes involved. That is probably the only thing that will fill up those empty seats. My guess, Seth, is that you are going to help make that happen. My hope would be that everyone that reads this article will share it broadly with the entire Alzheimer's Community. All those empty seats should serve as a real eye opener for many of us. Congratulations Senators Tom Harkin and Jerry Moran, you were the two attending Senators.